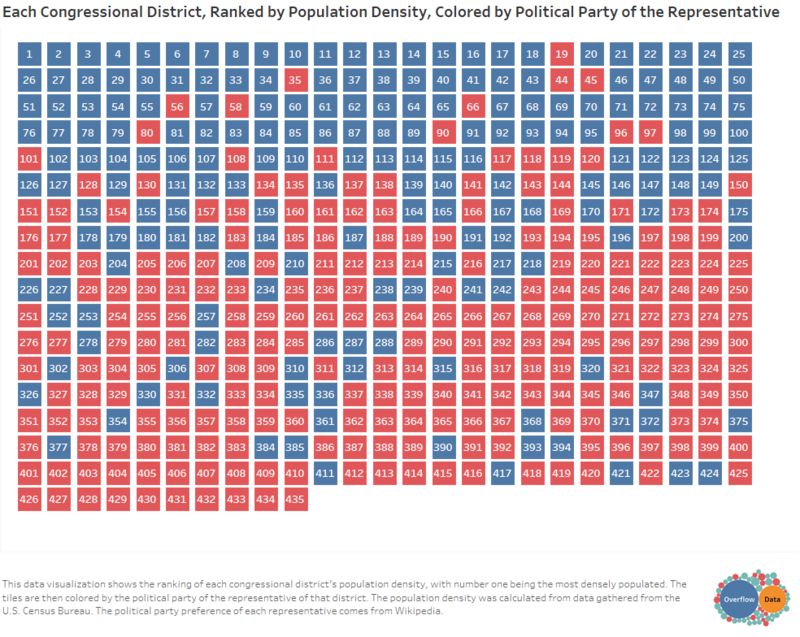 This data visualization shows the ranking of each congressional district’s population density, with number one being the most densely populated. The tiles are then colored by the political party of the representative of that district. The population density was calculated from data gathered from the U.S. Census Bureau. The political party preference of each representative comes from Wikipedia. Once the data was gathered it was cleaned in excel and the visualization was created in Tableau.